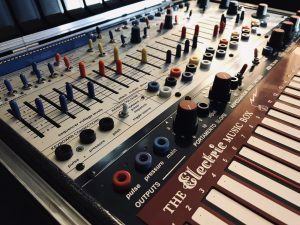 “This listing is for a rare, barely played Buchla Music Easel in excellent to mint condition, no cosmetic or functionality issues to report. It comes with the original box, power supply, banana cables, extra banana cables, plugs, bag, case key, and a courtesy printed manual. No program cards included.